There was gender equality in its panel – three women and as many men. 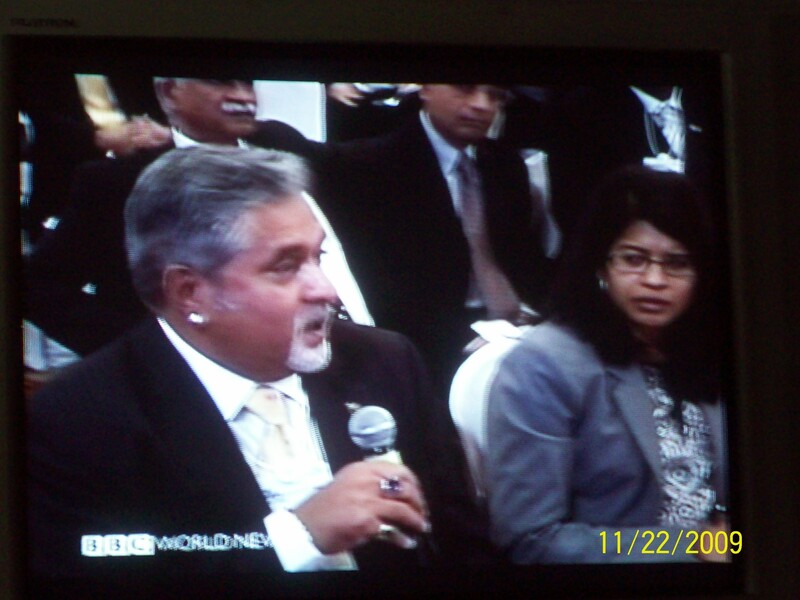 The BBC World Debate in New Delhi focused on the question whether gender equality is achievable in work place ? Consensus was, ‘ yes, but not anytime soon’. 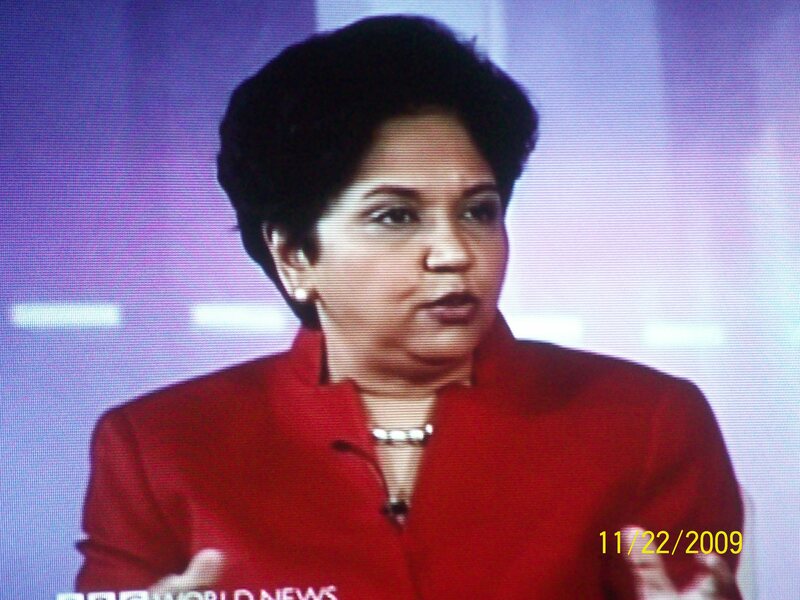 Ms. Nooyi: What do we mean by gender equality ? Is it men-women employment on 50-50 basis, or equal recognition of their work? Does it refer to peer respect for women in work place? Gender equality is hard to define. She reckoned that in many societies women are not given a choice to work. 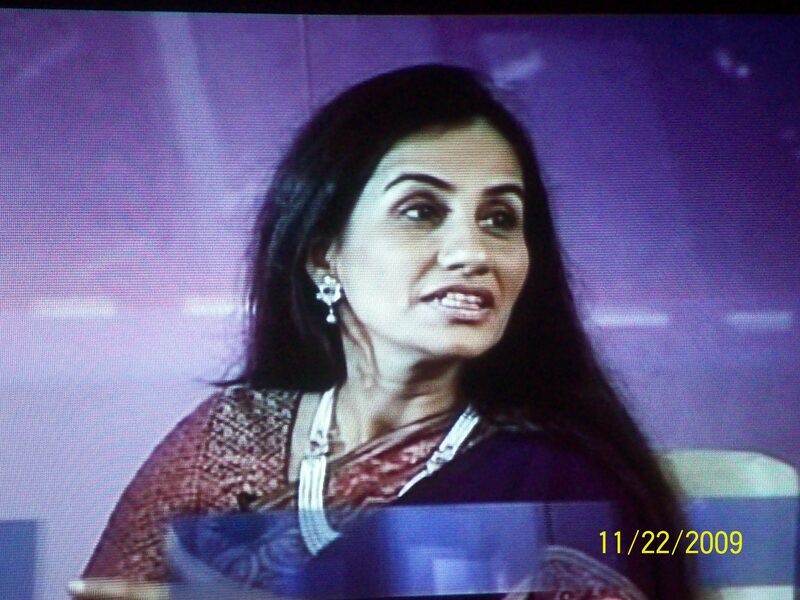 Ms Kochhar: Employers need to address issues such as maternity benefits. This assumes importance in ICICI bank, where 80 percent of women employees are below 30. As a woman, and working mother, she says she considers it a privilege to be able to handle both roles. It is a 24 hr. job. 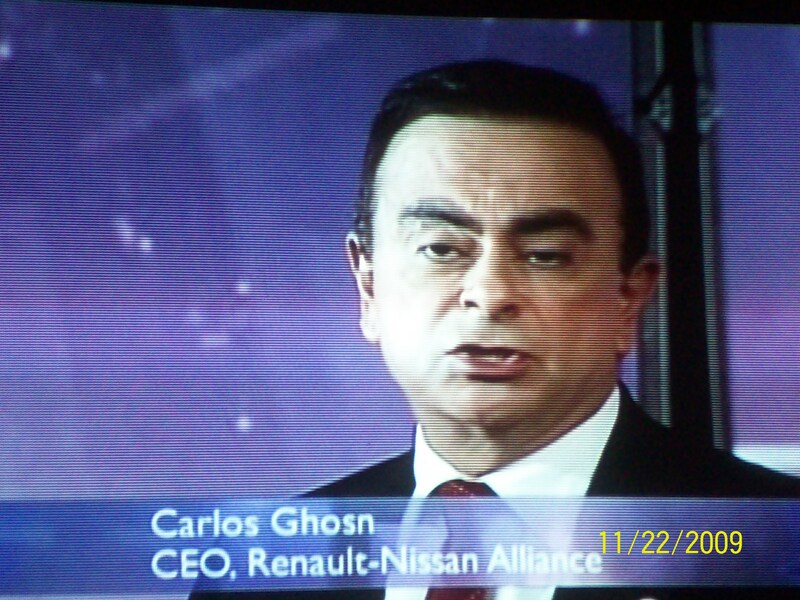 Mr.Ghosn : Gender equality entailed men sharing responsiblities on the home front as well. Why not encourage male employees to take care of baby by granting paternity leave and other benefits ? Yes, gender parity is achievable in the long term. Mr Seth: In the long-term we are all dead. To get anywhere on gender equality we need to look at the status of women beyond their work place. Viewed in this light the issue relates to gender respect. There can be no gender equality without a mindset change in society. Mr Vijay Malya: Kingfisher commemorated the International Women’s Day with flights that had all-women crew. He saw it as a matter of visibility of women in male-dominent fields. He refers to car racing says it would serve as role model for others, if we can identify a woman Formula 1 driver. Those of us who watched the debate may not have become any wiser on the status of gender parity. But then it is an issue that perhaps needs to be hammered in, on an ongoing basis in seminars, workshops and TV talk shows. At the end of it my thoughts were : 1) Can we think of a women who can match up to Suhel Seth in TV appearances as a stock panelist ? Kiren Bedi, maybe ? 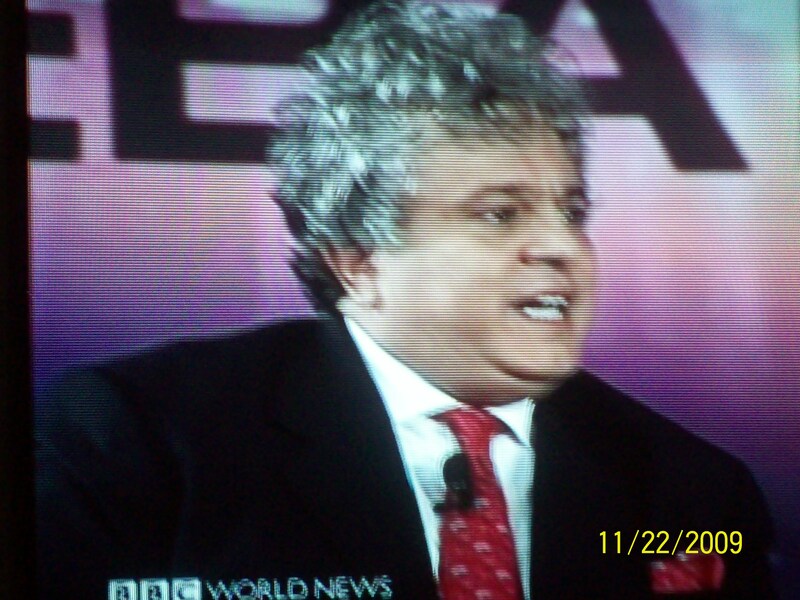 2) And why can’t BBC think of holding a gender issue debate in Saudi Arabia ? A Saibaba image one doesn’t get to see in other temples. I happened by this painting at a shrine on a farmland not far from Bangalore. It has come up on a patch owned by a retired Air India pilot, Capt.V V Mahesh. What struck me about the painting is its creator’s perception of Saibaba. The message it conveys is that even a saint needs his afternoon rest. And the setting in which the Baba is cast is absorbingly down-to-earth. It was Mrs Samyuktha Mahesh’s idea to portray the secular sage as a person, not a deified entity placed on a pedestal; as someone with whom the poor and the humble among his devotees can relate. She conveyed her thoughts to an artist who put them on canvas. Maybe Samyuktha was motivated by what she read, and, as her husband put it, she has read almost everything nearly everyone has written on Saibaba. Shirdi Diary by G S Khaparde, they say, describes the life and times, and daily routine of Saibaba in his later years (1910-18). Though his birth and early life remain a mystery, Saibaba’s death is recorded history – Oct.15, 1918. Wikipedia refers to his taking samadhi on the lap of a devotee, at 2.30 in the afternoon. A Saibaba devotee since the age of 12, Samyuktha spoke of a dream that prompted her to build this temple. She consulted her husband, who agreed to do it on their own farm near Bangalore, though “he wasn’t then a Saibaba devotee like his wife”. Their three sons, one of whom is also a pilot, helped to make their mother’s dream a reality. This shrine came up seven years ago. Capt.Mahesh says the main prayer hall and a smaller one for meditation, and the landscaping have been completed. What remains is Nandadeep – a cluster of 108 brass lamps to be placed in enclosed space in the temple courtyard. They have timeline for its completion – by January next – whether or not they raise funds through donation by this time. “We are confident of meeting the requirement, ‘observed Capt.Mahesh, adding that the project is estimated to cost Rs.6 lakhs. Samyuktha is modest about whatever they have accomplished till date. She referred to an anonymous devotee who has donated Rs.62 crores for infrastruture improvement at Shirdi to facilitate visitors. “What we are doing here isn’t much in comparison,” says Samyuktha. The Saibaba shrine built by the Mahesh couple is located near Bididi, on a farmland some three km off the Bangalore-Mysore highway. They also run a special school for 40-odd mentally challenged children. The Mahesh’s spend much of their time out here, though they have a town house on Bangalore’s Richmond Rd. “The city traffic being what it is, we find daily cummute a hassle,” says Capt. Mahesh. We visited the temple shortly before the mid-day prayer. Capt. Mahesh persuaded us to stay till aarthi, followed by prasad. Which gave us time to interact with the Mahesh couple. The setting is conducive to contemplation. A visitor to the prayer hall tends to sit in silence for a while. Capt.Mahesh has thoughfully placed plastic chairs in the hall for the benefit of aged and the handicapped. At the far end of the courtyard across the main prayer hall is a smaller hall where they keep an eternal fire going. The sanctity about it is that this flame was lit with the embers from a piece of firewood brought from dhuni in Shirdi. “We couldn’t bring it by train; they wouldn’t allow it on a plane,” said Capt. Mahesh, adding that the sacred fire from Shirdi was brought by road in a hired van. The dhuni is the perpetually burning fire that Baba had built. The fire is today much bigger and is enclosed in a wired cage. It is said that Baba, when asked why he had the fire going, replied that it was for burning our sins, or karma. It is reported that Baba spent hours sitting in contemplation by the dhuni. Finance minister Pranab Mukherjee, man who controls government spending, made headlines, travelling economy class to Kolkata Saturday last. In case you wonder if it was a one-day, one-way wonder done for media effect, Pranab-bhai’s office told The Hindu that the minister would return to New Delhi, also in economy class. Mocking at Mr Mukherjee’s austerity call, Karnataka’s Deve Gowda offered to give up his MP’s salary, if it would help the economy. Travelling economy class was another matter. Mr Gowda wanted to know if an elderly person with pain in the joints wasn’t entitled to a mode of travel that “allows me to stretch my legs”. Mr Gowda has a point. He is entitled to his comforts. But then Mr Gowda, has-been PM and now MP, could emulate fellow Kannadiga and external affairs Minister S M Krishna; and foot his own biils, to stay in accustomed comfort. Mr Gowda could do the same, and fly business-class, if he feels entitled to more leg space . Mr Krishna and his deputy in the ministry Sashi Tharoor are reported to be staying in star hotels in New Delhi at their own expense. Deccan Herald ran a story on the lifestyle of yet another Kannadiga, the late S Nijalingappa. He, unlike Mr Gowda, didn’t think of entitlement as has-been CM. Mr Nijalingappa, after having been chief minister, declined the offer of a government house in Bangalore; and he didn’t accept treatment at a private super-speciality hospital at government expense. Mr Nijalingappa had himself admitted at a government hospital for treatment of a fracture at an advanced age. A chief minister in office who led a life way too simple for the position he held was Nripen Chakraborty of Tripura. As CM Mr Chakraborty stayed in a room at his party office. At the end of his term as chief minister he shited from CPI-M office to MLA quarters, according to Mr R Sankaran who was Tripura chief secretary during Mr Chakraborthy’s tenure. On his transfer from Tripura, Mr Sankaran was invited to a farewell dinner by CM, at which he was served the same quality rice that was supplied to ration-card holders under the public distribution system. Mr Sankaran recalled that he was invited to a breakfast Mr chakraborty hosted for a visiting central minister, Mr Raghunatha Reddy. Menu – two gulab jamoons with tea. The minister, unaware of CM’s style, was waiting for more till Mr Sankaran whispered to Mr Reddy in Telugu that nothing else was on the menu. At this the union minister was reported to have observed that the communists were entitled to their austere ways, but they could do with a good breakfast. I don’t see Capt. Gopinath in Lok Sabha in 2009. Not because he isn’t a right candidate, but because he isn’t winnable as an Independent in the fray. Air Deccan Gopi appears to have an enlightened contempt for party candidature. “I don’t want to mortgage my ideas,” he says. Which makes a smart quote, but poor operating strategy. Ideas don’t get you anywhere in politics; cash, caste and community clout matter. We don’t associate Air Deccan Gopinath, politically, with any caste or community, do we? He belongs to a class though, the corporate class. Which isn’t the flavour of the critical mass of voters in any constituency, even in cosmopolitan Bangalore. We aren’t yet cosmopolitan enough to get the best candidate elected. But the presence in the poll fray, of the likes of Capt.Gopinath, is a good thing, and can go a long way to influence established parties in paying the much needed attention to the innate merits of a poll aspirant, rather than his/her caste/community affiliation, before doling out the party ticket. According to a media report, those who visited Capt.Gopinath’s place to extend support included Biotech Mazumdar, Infy Pai, civic activist Ramanathan, PR/ad. pandit Bijoor, and fashion guru Bidapa. None of these corporate and social worthies can get candidate Gopinath much votes. But what the corporate/social elite can do is mobilise the likes of Gopinath to join the poll fray, in increasing numbers. If only because, their presence on the ballot paper give a credible option to a discerning electorate that is disenchanted with the party political candidates on offer. High-powered media campaigns, such as jagore.com that seek to get all eligible voters to the polling booth, would have meaning if, and only if, the candidates in the fray are deemed worthy of your vote. Did you ever wonder how much greenhouse gases Internet users generate? I didn’t,couldn’t care, till I happened by this post by blogger James Crabtree. He says he is confused by what he read in the media – that two Google searches from your desktop could generate as much carbon dioxide as boiling a kettle for a cup of tea. Interesting thought. But could that be true ? And blogger Crabtree, presumably, put the kettle on as he e-mailed his friend at Google. This blogger believes in getting to the bottom of it. And the British usually use up a cuppa or two as they get on with it. If Googling was environmnetally problematic, what about CO2 emissions from loads of other online activites? Thus, rose a storm in the tea cup. Set off by a report in The Sunday Times, London; stirred up by blogger Crabtree , it gathered velocity as Google’s rapid rebuttal team got into the act. Their response – One Google search emits 0.2 grams of CO2. A typical Google search takes less than 0.2 seconds. In terms of greenhouse emission one G-search equals 0.2 grams of CO2. Google data centres process 200 million searches daily. A search query goes to Google servers in the US, Europe, Japan and China. The EU standard for tailpipe emission is 140gms. CO2 per km. But most cars don’t reach this level. Viewing a web page we generate 0.02gm. CO2 per second; keeping the PC on produces 40 to 80 gm. per hour. An industry analyst cited in the media says the IT sector generates as much gas as world airlines industry – 2 percent of global CO2 emission. Google, they say, has every search sent simultaneously to all its servers, instead of routing it to the nearest one. The idea is to be the fastest with results – 0.2 second per search. Anyway, such knowledge about Internet usage and greenhouse gas emission is unlikely to change the way we use the Net. If anything, computer and broadband usage can be said to be next in line for exponential growth in India (after the cell phone revolution that is). Speaking of an Inconvenient Truth , I wonder if anyone keeping count of CO2 emissions from the Israeli bombardment in Gaza ? I have no issue with having to pay for my eats on a plane. But the trend among the US airlines to make travelers pay extra for your seat preference – window or aisle – a bottle of water, earphone, head cushion, blanket and things sounds petty, doesn’t it. An article in The New York Times says it all in its headline – At Least the Airsickness Bags Are Free. An airline in the US that made a PR song-and-dance of being the first to have installed seat-front TV on domestic flights would now like you to pay a dollar for the earphone. Some other airlines plan to offer wireless internet connection for 10 to 13 dollars a flight, they say. There appears no appeal against this. Air travelers can crib, write to newspapers, and blog all they want. The airlines offer a blanket reason – rising jet fuel price. An expert on consumer behavior, Prof. Banwari Mittal, is quoted as saying that passenger helplessness is widespread – ‘consumers will get angry when they find a target of retribution, which is a specific company or a person; but when it’s the macro environment, there is nothing to get angry at’. Referring to their $7 charge for a pillow and blanket on their flights JetBlue chief executive David Barger is reported to have told Larry King on CNN, “it’s a nice way to offer an amenity to our customers”. It would have been nice, Mr Barger, if the amenity comes without a price tag. Sensing a seven-dollar charge may be on the stiff side the JetBlue chief noted that in-flight pillow hire came with a $5 coupon for a purchase at Bed Bath & Beyond. So the net cost for the hire was really just $2. Really, Mr Barger? What, if you don’t really need anything from B B &B. You may still end up shopping there, paying 20 dollars for a $25 item that you didn’t need in the first place. I wonder what this blanket & beyond offer has to do with rising jet fuel cost..